Sugar-Free Mom is a woman on a mission to remove unnatural forms of sugar in her families lives. She focuses on using natural sugars and natural sugar free substitutes to create healthier versions of popular and beloved recipes. Since 2011, her blog has become the most popular sugar-free source on the web today. 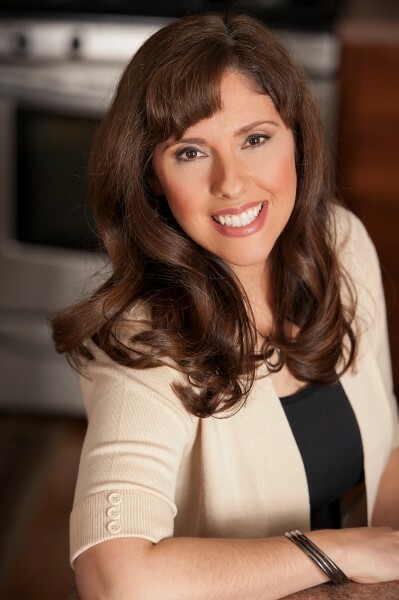 She has a devoted following of those looking to simply reduce sugar consumption, many who follow a low carb diet and many who have multiple allergies. Her readers can identify with her as her own children have tree nut, peanut, and soy allergies and she herself has a gluten and dairy intolerance. She is a mom who had to give up sugar, but still wants chocolate working hard to maintain her weight loss. With her 3 children who keep her very busy she strives to balance it all and still provide healthy, homemade meals that don’t require too much time in the kitchen. Her cookbook, Sugar-Free Mom, Naturally Sweet & Sugar-Free Recipes for the Whole Family is available now for order , released on December 9, 2014. This book is a wonderful beginners guide to going sugar free with over 100 family friendly recipes. When I first began my sugar-free journey I thought it would be impossible to sustain. How could anyone not have chocolate or cake on their birthday? You see back when I began with removing white sugar in 2004, there weren’t many recipes available that were sweetened with natural sugars, let alone any that were sweetened with natural sugar free sweeteners, like Stevia and Swerve ,Sukrin and Monk Fruit. I began creating recipes using natural, less processed sugars like coconut sugar, honey and sucanat. As the years went by, I learned that my body could not tolerate even the natural sugars I was consuming. I always craved more. Stevia became my first choice for a natural sugar free sweetener. I also learned I was gluten sensitive. When browsing through my Recipe Index, you will notice, recipes created from 2011-2013 were not gluten free but used whole wheat flours. Many were not sugar free but used unprocessed sugars. You will not find any recipes that include using white refined flour or sugar, brown sugar, agave nectar, Splenda or other artificial sweeteners. Here’s a post all about why I won’t use Splenda: 3 Splenda Myths Busted. If you’d like the full details of how I became sugar-free, please read My Journey. All recipes from 2014 and on are now not only sugar free and gluten free, but also low carb. If you’re unfamiliar with the difference between Low Carb versus Sugar Free please read this post I wrote about it. All recipes are low carb because I’ve learned over the last 3 years my body has changed and eating this way makes me feel better than I ever have in the past. Since 2017 I’ve been doing a very low carb, a Ketogenic diet. If you’re unfamiliar what the difference is between the two you can read this post all about it and my 6 Week Keto Results when I first began really counting my macros and testing my blood. Since 2015 I’ve really been creating recipes that fall in line with a low carb, high fat, moderate protein approach. Being on a keto diet has truly helped the most with sugar cravings and I plan on continuing for life as I just love this way of eating! Jesus is Number 1 in my Life! My family is my main priority. My youngest child has a tree nut and peanut allergy. My oldest child has a soy and peanut allergy. I LOVE to exercise, really I really do! I am a coffee lover. I pray YOU will find help, encouragement, laughter, joy, ideas, direction, fabulous family friendly recipes and most of all HOPE that you too can lead a life free of sugar and LOVE it! Brenda Bennett is not a medical professional or nutritionist. She does not have formal weight loss training. This blog is her own experience as examples and guidelines for healthy eating, exercise and weight loss strategies. Consult a medical professional before making exercise and dietary changes. I just have to say that seeing your photo, I thought OMG!! Princess Diana…Your very Pretty!! Just came across your blog. I love it and am excited to try your stuff!!!! I notice that you choose Sucanat, honey, and Stevia for your sugar choices … can you help me understand why these and why you don’t use refined sugar, brown sugar, or agave nectar. I read your stuff on Splenda and agree with all that. Just in my journey of healthier living and eating, I’m trying to figure out why those 3 aren’t as good of choices for me and why the other 3 would be better choices. Can you help with my understanding in this area? Thanks!!! HI Holly! When I did the Prism weight loss program in 2004, they recommended only those sweeteners as they are minimally less processed and refined than other sugars today. I have a great article in my side bar about agave you can read, but its just not as healthful and organic as people believe so I don’t use it. Sucanat and honey are still sugars and I try to use them only in moderation. Sweetleaf Stevia is a sugar-free plant based sweetener which again is not refined like white sugar and more natural than even honey or sucanat. Hope that helps some! I would definitely use homemade date syrup as all it is to make is dates and water and it is all natural. Truvia is easier to bake with because it measures like sugar would so it’s very easy to sub in your favorite recipes. Stevia extract without any other ingredients is harder because it doesn’t have the bulk on its own to replace the bulk sugar does in recipes. If you’ve just started use what’s best for you. All my recipes are using Stevia as well as Swerve which can also measure like sugar but is much less sweet so I often combine both in a recipe. But you can swap the Swerve in my recipes with Truvia and they should work for you. Are egg whites in smoothie recipes raw. Yes but I purchased a carton that specified they were pasteurized. Yes I will email you. Brenda i absolutely love this site and i’m off to try alot of these recipes this weekend. I need to get back and focus on me. I’m going to try the chili and the meatloaf. Can’t wait to see how the family likes it. Great work and keep posting healthy receipes:) Miss you. Thank you Laura! You can do it! I think your family will love the recipes!!! I just found your blog via pinterest. I am trying the crockpot oatmeal tonight with steel cut oats, I was out of oatmeal. We’ll see how that goes. I am excited about your blog and trying new recipes. I have been wanting to replace sugar in our house but with so many options I have not been sure which way to go. Thanks for pointing me in the right direction. Now it is time to finally get rid of this baby weight. I would love to hear more about how you fit excercise into your schedule. I am also a homeschooling mom and have three young children. I find it difficutl to make the time to take care of myself properly with so much to do all day. How do you do it? HI Marni! Welcome! Thanks for visiting! I will definitely write a post about exercising and fitting it in! Thank you for the suggestion! God bless! I’ve had to be off sugar for 20 years now. I’m excited about your blog for new and healthier ideas for myself and my family. I found you because of the blogging class. Thanks so much for sharing your story, and for the inspiration that living sugar-free is possible! I hope to be able to say the same for myself someday soon, as I am only now beginning this sugar-free journey. I do have a question about brown rice syrup however. Do you know if this is an acceptable sugar-free substitute? I have had brown rice syrup in products and it does not seem to cause a reaction and negative effects, but I only have it very rarely. My top 3 sweetener choices is a post I wrote in the “Tips & Articles” tab. So excited to come across your site. I am a mother of three two kind and handsome boys and my youngest about to turn 1 my precious sweet baby girl. I am 5’1 and although i was never skinny ever since I had my first born I never returned or even got close to my pre baby weight of 130. With my daughters birthday around the corner and my weight at 165 I am excited to try some of your recipes. Welcome Vanessa! You can do it. Stay disciplined. And Congrats on your little baby girl, how sweet! Which book are you referring to? I’ve got many Ecookbooks on my Shop page. Hello Brenda, I need some direction… where do you go for your pudding (chocolate and vanilla especially)? Are there any brands or recipes the come to mind that you could suggest? My family is in sugar-free, real-food transition (2months deep). I enjoy your recipes and blog so very much…always feeling encouraged and challenged to dig deeper into how God made these bodies (and what these bodies need for fuel so that we can go out a be a light)! Thank you so much! I don’t buy the puddings for the kids. I usually make them the coconut “cream” from the whipped cream recipe. That’s pudding to them. I found out about a year ago that I’ve gone from being hypoglycemic to border-line diabetic. So I have been sugar free since then. I feel 110% better!!! I am curious about your sugar substitutes….are they ok for diabetics?? I have been using artificial sweeteners and I know they are not the best. Hi Mel, Nice to meet you! I have quite a few readers that are diabetic and enjoy and use the recipes I make with stevia since it is naturally sugar free and doesn’t spike blood sugar. I have some recipes that use sucanat and honey and they are basically still a form of sugar but much less refined than white sugar. I am not a doctor so you will need to clear any changes you make to your diet with your doctor. If you look at the tips and articles I’ve written, you might be interested in reading: 3 Splenda Myths Busted as well as, Top 3 Best Refined Sugar Free Products. Hi Brenda, I just found your blog today, after a posting on pinterest. I have to say, your recipes look awesome and delicious. And I am absolutely thrilled about you including the Weight Watchers points+ with the recipes!!!!!! That makes me super duper happy and I am so glad I will be able to read up on all your postings while my kiddos are napping! I look forward to changing the way we eat in our family and becoming healther! Thanks again! Thanks so much Amy and I am so happy to have you on board! One of my friends on FB posted a recipe for sugar free muffins today and it couldn’t have come at a better time! I just found out my son has ADHD and I’ve decided that I want to cut out sugars from his diet. I also need to lose a big amount of weight and thought we could do this as a family. I can’t wait to try your recipes!! I do have a question though…..how come you don’t use agave nectar? I heard that it was a good substitute for sugar and was healthier. Can I find Sucanat and SweetLeaf Stevia at any regular grocery store? I buy sucanat and stevia online through iherb.com. My coupon code is YAJ035 for you to use. I have not looked for them at a regular grocery store, only at a health store like Whole Foods. Brenda, I love your site and I can’t wait to try your recipes! They look so delicious and I can eat sweets without guilt! I have been looking for several of your ingredients such as sweet leaf sweeteners and swerve and Sukrin gold, etc. and prices vary on different sites of course. How much of a discount do you get at iherb? If I knew how to send you a picture, I would show you that on July 25 the price for swerve was different than on July 27. Anyways, I am trying to find the very best price for each of the products I will need! I’ve checked Vita cost, Amazon, thrive market, iherb, even ordering online from Walmart, The prices are all so different. So I’m just wondering what type of discount I would get off the items from iherb. Thanks so much, and I really am glad I found you! I appreciate all your research and info!! I believe if you are a first time buyer at Iherb.com you get $5.00 off your order. I know the sweetleaf brand will use only natural ingredients but most likely if you are allergic to pure vanilla, that is in for flavoring. There is no cane sugar in the vanilla creme sweetleaf brand. I just found this website and hope to keep coming back for information and recipes. Almost a year ago, I needed to go sugar free by doctor’s strong suggestion, and it has been a year of many changes. One change is in eating a much more varied diet with fruits, vegetables, and protein. It’s been a struggle to find recipes that fit my restricted diet and please my taste buds. Thanks for sharing what you’ve learned with others. Thank you and welcome! Glad to have you join the journey! Wow this is me…well what I need! Stumbled across you from reading ms skinny pumpkin oatmeal recipe. The part about ‘coffee’ is a must is definitely me. And the baby weight after #3…the last 20/30 are ‘stuck’! I hope by following a few of your recipes and meal plans I can kick it up (or down!) a notch. Thanks for your inspiration!! You’re so welcome! I’m glad you are joining me on this journey! I have had a similar experience with needing to overhaul my whole diet from sugar. My husband and I realized how many health issues we were fighting daily with sugar in it. Now we are so much healthier. I just ran across your site and am excited to have a place to go. I recently joined a Prism group at my church. But where do I start. I feel overwhelmed. Congrats Dayna on such a wonderful weight loss! I loved the Prism program so if you are in that, you are certainly on your way! Focus on making one easy meal that you think you and your family will love. The next week by another. 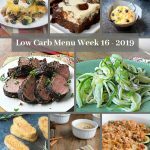 Each week add a new recipe and before you know it you’ll have some great recipes. If dinner is too challenging just focus on breakfasts that you can make ahead and eat all week. I have a ton! You can do it! Oh my goodness!! A friend of mine gave me the link to your site – AMAZING! I’m already planning on cooking some recipes tonight for my holiday baking. Glad you found me, welcome! Once you have me a coupon code to use for iherb to get some sweet leaf liquid stevia. I am online trying to purchase and I am to the part where i put in my credit card and it still has not asked for a code. Am I missing something? Go to my homepage and in the lower right sidebar there is an iherb.com ad, click that and it will go directly to the site. If you’re a first time buyer it will automatically apply at check out. Just came across your website a week ago while googling sugarfree recipes as I recently took an allergy test (due to eczema) which showed I have an allergy to sugar. So I am now looking for new and good (!) recipes that not only I will eat, but also my family. My kids can be fussy, but I’m hoping these recipes will change that! I am excited to give it a go, but finding the time to go through everything will be the biggest challenge! There is just so much here! Thanks so much for doing this; it’s a huge help to many! Also, just wondering about stevia. I just bought the powdered form, but most of your recipes use liquid (I think). Is it one for one?? Thanks so much! Not always one for one but you can just Google a conversion chart for stevia and that will bring up the amounts to sub. Love your top 2 tidbits btw!! Hi Brenda, I came across your site after a friend posted your Crock Pot Balsamic Chicken Thighs recipe. I have been amazed by your recipes. I am a diabetic and it’s really hard to find delicious food for my family (including a 2 year old). We are trying to eat healthier as a family and I am so excited to try your recipes. Thank you so much! Glad you found my site! Welcome! I am a fan of the Prism way of life and am excited about your site! Glad you found me! Welcome! Thanks so much Holly! That’s awful about the quinoa! You could certainly leave it out of the salads. Just make regular veggie salads. It was really there to give some substance to the salad and fiber and protein but just skip it all together. Best wishes to you! So encouraging! Just stumbled upon your website and love it. We as a family can associate so much with this journey of health and overall well being! Recently because of some stuff that happened in my hubby’s body, we were introduced to the GAPS mealplan written by Dr Natasha. We’ve followed it for a little over a month now and I can report that not only has my weight finally stabilised!!! My children’s multiple allergies, sinus, dairy intolerance, lethargy etc have been healed completely, but we are all far more healthy and balanced! It’s a long process that lies ahead but I can’t wait to give a report when we have finally reached the end of it. Maybe you should investigate it. Find a GAPS practitioner or just buy the book, but from what you’ve shared, the sugar and wheat free lifestyle is just the beginning of a healthy and happy family! You are on the right tract and I applaud you for sharing it with us! I could not contact PRISM on their 800 # given book. Do you know of ny groups in Dothan, AL? Are you still offering help? I’m writing a piece for The Huffington Post in partnership with Ziploc entitled “X School Lunches That Totally Trump Sandwiches.” I saw your recipe for spring rolls (https://www.sugarfreemom.com/recipes/healthy-lunchbox-recipes-vegetable-spring-rolls-with-lightened-up-peanut-sauce/) and would love to include the idea and photo in the piece. Would give you credit, linking out to your recipe. Please let me know if you’d like to be included by end of day Friday 8/8. Hi Brenda, I have a question for you. I have been sugarfree for a couple of years now due to health reasons. I am in a relationship at the moment and trying to figure out what I will feed my kids when/if I have kids. How do you deal with going out to eat and going over to people’s houses? Do you let your kids choose what they want when you’re not at home? I want to have a sugar-free home as much as possible, but I’m not sure how I would deal with that. Thank you so much for being another supporter of this lifestyle; it’s awesome! Hi, Brenda! Lived next door to you way back. Love your website and FB page. I’m an R.D Nutritionist and have my own FB page and “liked” your page not knowing that you were the admin. My page is: NutritionThroughTheLifecycle. Check it out if you get a chance. Sounds like you’re a very busy lady. Happy to have found you. 🙂 ..
Hi I have a question. I made the sugar free chocolate pecan pie for thanksgiving. Only half of it was eaten. Can I freeze the other half? Yes I do think freezing the rest will be fine. The just defrost overnight for when you want it. I haven’t used it only because I have a sensitive stomach and heard GI complaints form others who have used it. I’m very confused about honey vs maple syrup right now because I keep reading conflicting information about fructose, glucose, sucrose. Most sources claim that sucrose is better but you say sucrose isn’t. I’m just wondering why do you say fructose is better than sucrose is? Please help me understand this so I can make better decisions on what type of natural sugars to take in since I like sweet foods alot lol thanks! Just wanted to let you know that it’s OK to eat raw cookie dough IF you use pasteurized eggs. I’ve been buying Davidson’s Safest Choice eggs for a few years now, and I use them for cookies, uncooked drinks like eggnog, and uncooked ice cream recipes. I love them! Sometimes I’ll crack one into a glass of milk, add some sweetener (like stevia), a little vanilla, and a sprinkle of nutmeg, shake it up, and it’s a delicious fresh protein drink. I absolutely would but unfortunately I can not get Davidson’s Safest Choice Eggs anywhere even remotely close by where I live. It’s easy to pasteurize your own eggs. We do it often for homemade mayonnaise. Let eggs come to room temp, about 30 to 45 minutes. We do 1/2 dozen at a time. Have a very large pot of water warmed to 140F. The large pot of water helps keep the water temperature stable. If the water goes over 142F for long, the whites will begin to cook. Below 139, micro-organisms in eggs won’t be killed. Immerse eggs gently in the pot of 140F water. Circulate/stir the water around the eggs by stirring, for 4 to 5 minutes. Remove the eggs and immediately rinse with cool water to cool them. Place them in a clean container and refrigerate them immediately. I was searching for a sugar-free salsa and found your site. I have recently decided to quit sugar and find that many everyday things that I did not think have added sugar… thank you for your site…. I found your site when I was looking for a sugar-free lemonade recipe on Yahoo. I too am gluten and lactose intolerant. I think I might be hypoglycemic, but have not been diagnosed. I am also prone to yeast infections. My son was “evaluated” at school as having an autism spectrum disorder. I look foreward to finding recipes for usually sugar-filled comfort foods. Thank you! I came across your blog several weeks ago and I must say it is amazing! I have been sugar free/ grain free for almost a year and have really struggled to find recipes. I felt very limited to the book outlining my eating plan and a blog by the same folks. I had one other website I liked and would stumble across a recipe from time to time. Many, many of the recipes for sweets failed. They didn’t bake up right or they tasted horrible. I have made approximately 15 recipes from your site now and they have all been major successes. Wonderful taste, texture, and perfect bakes. Your mug cakes are my favorite things so far. I really appreciate the time and testing you have put in to develop these amazing dishes. At the risk of sounding truly creepy I want to say you changed my world! Thank you so much and not creepy at all, I appreciate it! I was just reading that you are from RI. Wonderful little state, isn’t it? I was born and raised in RI. Hi Brenda! Diabetes runs in my family. My mother has it and thankfully I haven’t been diagnosed with it. And I want to keep it that way. I love being able to come to your website for low carb and sugar free recipes. I do have a question, though. Where can I get the molds you used for your Sugar Free White Chocolate Bars? My name is Angelique I am a nutritionist in Australia and have found your site to be a valuable resource of yummy recipes, I would like your permission to link my website to your site for recipes. My website is http://www.weightideal4life.com check it out to see if you are happy for me to add you to my links and link my blogs to yours for recipes. As a nutritionist, weight loss coach my focus is nutrients cooking is not really my thing and I eat very simply. I have a daughter with Type 1 diabetes so low carb keto is the only way of living for us. I would also like to pose a challenge for you, many recipes on many sites say they are no sugar yet use sugar alcohols, my daughter is sensitive to them and they spike her BGL even though they are not supposed to and in people who have sensitivities they can make them hypo. 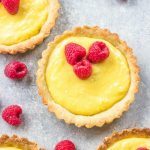 I would love to see more recipes WITHOUT sugar alcohols, do you think it is possible to do this and still stay low carb? Please let me know if you are happy to link. Stevia is the best for no sugar alcohols but difficult to bake with but most recipes work wonderful with it. Thank you and congrats on your weightloss! My son was just diagnosed with type 1 diabetes a week ago and my friend tagged me on this link on FB and there are so many delicious foods here that he can enjoy and us as well as a family. THANK YOU so much for helping me find foods he can have. I no longer can have sugar. 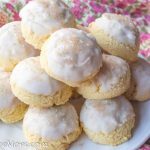 I searched all over for a sugar free Christmas cookie recipe I found this sugarless sugar cookie on sugarfreemom website and I absolutely love the recipe. And the buttercream frosting was delicious also big fan of swerve now. Hi,Brenda when ever I open your emails I don’t receive anything!! Your social media buttons don’t work on your site. I guess I can’t follow you. Well I appreciate you letting me know so it can be fixed, I didn’t realize they weren’t working since I got a brand new redesign of my website. Hello, I just paid for the 6 week sugar detox plan.Can you tell me what to do next? Hi I love some of your receipes. I have a question on the zuchinni chips/cucumber chips. How long do they stay chip like? And what are some examples of the containers you use? And lastly since they are still veggies do they need to go in the fridge? Sorry so many questions I’m brand new at this!! Thank you for being awesome! They don’t need to go into the fridge once dehydrated. I would suggest wrapping them in aluminum foil to keep them crisp. Honestly they never last longer then 1-2 days in my house. I see so many recipes for breads but wonder why no one discusses the low carb breads/tortilla shells already on the market having 5 or 6 carbs each. I’d much rather spend my cooking time on the food than making bread when I can buy a loaf of Aunt Millies or Mission wraps. Is it because you mistrust the labeling? I’m hardly promoting brands but truly am mystified. I can whip together a small pizza using the wraps in no time at all which to me, beats using cauliflower and doing my darnedest to disguise the taste. Please help me understand! Many of packaged items are very processed which often always contains ingredients to keep them on the shelf longer. Might not be a big deal to most people but many who are on a keto diet or very low carb diet, it would effect possible ketosis. If you’re not on a keto diet, and just low carb and sugar free these are great alternatives for a busy life. But if you are trying to lose weight and having any trouble doing so, many people go to a strict whole foods, clean eating diet, meaning if it isn’t grown in the ground or has a face, they don’t eat it because it’s too processed. I bought some coffe flour at Trader Joe’s and I haven’t seen any recipes that use it. Have you heard of it/Have you ever used it? No I’ve not used it. What kind of cake pans for the red velvet cake? Cake i use relgure cake pans. What kind of of cake pans? I used small ramekins that were shallow, quiche ramekins. I am trying to find a recipe for sugar free sponge toffee or cinder toffee. Can anyone help me? So I am a Seasonal Park Ranger with a 1 1/2 qt. crock pot. I assume I can just downsize your crock pot recipes by dividing all the ingredient quantities in half? Love your website and your story. Thanks for bringing it to us. How can I contact you? I purchased the sugar detox program but have not received my code. I am new to your site, almost 70 years old and have been a sugarholic my whole life. Today is day one of making major sugar changes to my diet. Yes, I’m going cold turkey, know I’m going to feel bad for a while and am looking forward to “coming out the other side” feeling soooo much better. Thank you for excellent information, recipes that I can incorporate into these changes and your gift of encouragement. Thank you so much Katy! I can’t really give a flat answer that will make coconut flour work in every recipe. It is dependent on the liquid ingredients in each recipe. Has she tried any of my recipes with coconut flour? I’ve got an incredible tasting chocolate chip muffin. 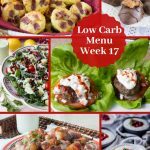 Branda, I have used a number of your low carb recipes and have been very pleased with them. Tonight I ordered your 1 onth menu plan Easy Low Carb Family Dinners but can’t seem to download the material. Please contact me. I will check into this and email you.I just resent the link, please let me know if you need further help. Where is the actual recipe for the No Flour, No Sugar Chocolate Chocolate Chip Cookies? I think you might be looking on the wrong website, I don’t have a recipe like that. I have a flourless peanut butter one but not chocolate. Just ran across your site and am excited to try your recipes. I was very recently diagnosed with diabetes and at age 75, find it very confusing to begin a new life style of cooking and eating the “right” foods. I appreciate the Nutrition Facts that you list – very helpful. Thanks! Just diagnosed Diabetic…… I have always been borderline diabetic with all the health issues that come with that. I have read so much on the subject. But still so confused about the sugar vs. carb issue. I have tried to just reduce my carbs and NO sugar. I am still trying to figure it out. I love your site it has helped me. Bless you for your help. Where do you suggest buying sugar free chocolate? I live in WV and I’ve never been able to find any. I am coeliac so follow a strict gluten-free diet. Can’t wait to try some of your gluten-free recipes! Brenda, awesome picture!! Thank you for sharing you, and all your knowledge. When I found you I did a lot of your recipes and have lost 50lbs. That’s wonderful news, so happy to have helped on your weightloss journey! I am glad that I found you! I am hoping to try a lot of your recipes since I am a diabetic. Just curious what this swerve is all about. Is it better than the stuff you buy in the stores? Not trying to be nosy but you don’t mention a husband so can I assume you are a single mom? Do you work and run your website as well? HI, I need to find sugar-free icing not containing sugar alcohols. I’m hooked. I came across your recipe for the 2 minute low carb English muffins and it was delicious (just had it with my spinach salad). I can’t wait to get a little more creative by using some of your wonderful looking concoctions. Thank you for all your efforts to bring this very welcome option to us – who don’t want sugar and high carbs but do want healthy…. I was looking for no-carb waffle recipes and came across your site! I’m loving all of your ideas!! But may I say first and formost I really respect that you accknowledge that you put CHRIST FIRST in your life!! God Bless you and your family! I absolutely love seeing all the recipes you post. One thing that is difficult is that many times I don’t have the sweeteners and flavoring ingredients in the recipe. Do you have a “shopping list” of ingredients that you would provide? Since there are so many different products, a list would give me the opportunity to order/purchase all of the frequently used ingredients at one time so I would have them on hand. Thanks so much for this consideration and I truly appreciate all of your testing and sharing of recipes!! I will work on something. My daughter is 29 years old and has Down syndrome, she had gained 40 lbs in 8 months because of medications. We started eating paleo in 2010 and she lost all the weight, we were having a hard time keeping weight on. So what did I do? I started giving her more carbs, a lot more carbs. They are all paleo friendly, but her mental state took a dramatic downturn. New behaviors developed, more self chatting, rocking, jumping, loss of focus, more autistic like, it was impacting her work and daily life. Have you seen the documentary called ” the Magic Pill” on Netflix? They have a young girl with autism that they put on a keto diet and her behaviors modified in a short time. I looked Keto diets up and they are mostly things my daughter doesn’t eat or would be too hard for her to chew, most of her teeth don”t match. I really thought that this was going to be impossible to do, and yesterday my neighbor told me about your website. I have a shopping list and we are starting tomorrow morning. Thank you for sharing your recipes, I literarily went from feeling overwhelmed to relief, I now have the hope that we can do this. We go to the doctor next month and I know that they are going to suggest medicating her again or sending her for testing at the Autism clinic. The doctor we go to specializes in Down syndrome and it just hit me, she never asked what kind of diet Kiki was on. I’m so happy your neighbor told you about my site and I pray my recipes will help your daughter on this journey! I’m so excited to have found you website and am looking forward to my new way of life!! I purchased the bundle plan yesterday but was not redirected to the passwords. Please help!!! I still have not received your e-mail. I sent to the email that PayPal has for you when you ordered and it is different from what you have above. I just sent you another email to the aol.com email. in your cabbage and ground beef Crock-Pot soup, what do you mean when you refer to shallots? Green onions, or actual small shallots? I purchased the phase 1 plan today but was not redirected to the passwords. Please help!!! Why has your Sugar Free Mom cookbook jumped to over $60.00? Amazon sold out of them but told me they will be in their warehouse by Sept 7th 2018 and the price will go back to $19.99. Do you have any recipes that are free of any type of sugar? I don’t mind the natural sugars in fruit but we are artificial sugar free, no stevia, honey, molasses, or anything that has sugar in it. I cant find much out there like this. Thank you! So happy you enjoyed the pumpkin donuts! I’ve looked at the low carb coconut bread and blueberry bread and I do not understand how I can make bread with just 1/2 cup of almond or coconut flour? Are these typos???? No not typos, it’s a small loaf. Please read all the reviews of those who have made it. Red velvet couples mug cake was unsuccessful. Has anybody tried this if so please leave tips. Is the oven or microwave better to use? Any tips for a creamer frosting? 1. You use ramekins in quite a lot of recipes but it never says what size you’re using. Are they 4 oz or 6 oz? 2. I was unable to find xanthan gum in my local stores. Will guar gum work as a replacement and if so, can I use the same amount when measuring? 6 ounce ramekins and yes guar gum should work to replace xanthan. I came across your blog when looking for a dairy-free clam chowder recipe. I had just made mine and wanted to compare! I didn’t realize that Whole Foods sold untreated canned clams and clam juice. My husband has big issues with dairy and all additives (sulfites in particular), and I with gluten! What a pair, right 😄? So no processed foods for us since 2013, and as a result no more migraines, seasonal allergies, and practically no more asthma for my husband! 2) blend some of the potatoes before serving the chowder. I have always been careful about sugar, and except for the holiday season I always keep in mind that the WHO recommends no more than 25g of added sugar per day. That’s a far cry from most dessert recipes out there! Additives and sugar mess with our gut flora. No wonder so many people get sick. Scientific research is proving us right. I look forward to looking at, and trying out, your recipes. Thank you for sharing them! This is my about page, so I’m not sure which recipe you’re asking me about. My name is Rick Powell. My wife (Peggy) and I have problems with Dairy, Wheat, Sugar, Nuts. Could you help with ideas treats for just two people. I am going to start with the Pumpkin pie first, to see if we can handle this one. All my recipes are wheat and sugar free but as far as dairy, and nuts, some are, you’ll just have to use the recipe index labeled with those categories to see the recipes listed. I blog over at ProverbsThirtyOneWoman.blogspot.com and am working on a post that links to great keto/low carb Easter recipes. I’ll be including a link to your carrot cake cheesecake recipe. Would you mind if I use one photo (attributed to you and linking to your site)? Not at all, thank you!